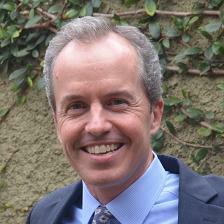 Dr. Langlotz serves as Professor of Radiology and Biomedical Informatics at Stanford University. The goal of his research is to improve the accuracy and consistency of radiology communication through real-time decision support systems and other information technologies. His biomedical informatics research laboratory develops novel machine learning and natural language processing algorithms that provide intelligent assistance to radiologists, clinicians, patients, and other consumers of the radiology report. The laboratory supports translational work and, after assessment of clinical effectiveness, encourages commercialization and dissemination of the resulting software. Dr. Langlotz has led many recent national and international efforts to improve the quality of radiology reports, including the RadLex™ terminology standard, the RadLex™ Playbook of radiology exam codes, the RSNA report template library, and a technical standard (PDF) for communication of radiology templates. As Associate Chair for Information Systems in the Department of Radiology and Medical Informatics Director for Stanford Health Care (SHC), Dr. Langlotz manages SHC imaging informatics activities to support the clinical, research, and educational missions of the Stanford Radiology. Dr. Langlotz is the author of the book The Radiology Report, and has authored over 100 scientific publications in the fields of biomedical informatics and comparative effectiveness research. He is a founder and Past President of the Radiology Alliance for Health Services Research (RAHSR), a former President of the Society for Imaging Informatics in Medicine (SIIM), and a former board member of the Association of University Radiologists (AUR). During his SIIM presidency, SIIM founded the American Board of Imaging Informatics, and established a formal certification and education program for imaging informatics professionals. Dr. Langlotz currently serves as an Advisor to the RSNA Radiology Informatics Committee, as a board member of the American Medical Informatics Association. He has been elected a Fellow of the American College of Medical Informatics, and of the College of SIIM Fellows, where he serves as President. Dr. Langlotz and his trainees have received numerous awards, including the Lee B. Lusted Student Prize from the Society for Medical Decision Making, the Memorial Award from the Association of University Radiologists, the Roger Bauman Award from SIIM, the Best Paper Award from the Journal of Digital Imaging, and five GE-AUR Radiology Research Academic Fellowship (GERRAF) Awards.